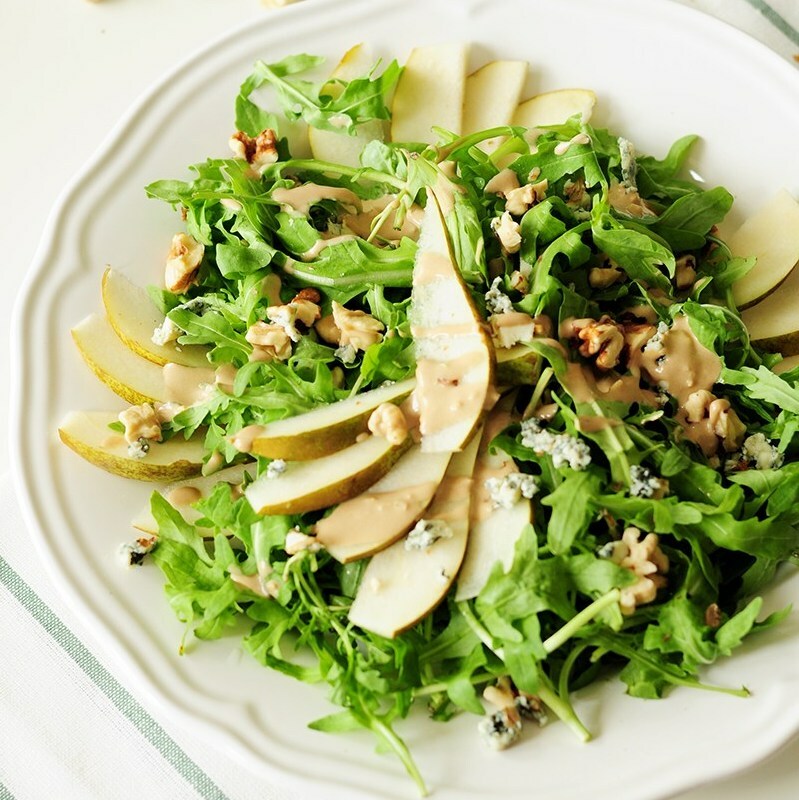 Prepare and place pear, arugula, blue cheese and walnuts in a large bowl. Make the tahini dressing. In a medium mixing bowl, add tahini, garlic, lemon juice, and a pinch of salt. Whisk to combine. Then slowly add water a little at a time, continue whisking until creamy and pourable. Depending on how thick your tahini is, you might need more or less water. Taste and adjust flavor as needed, adding more lemon juice or salt. Pour 1/4 cup tahini dressing into the salad bowl and toss. Enjoy! 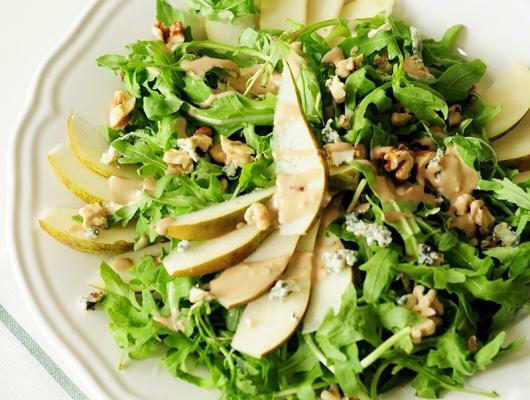 Topped with blue cheese and chopped walnuts, this four-ingredient arugula pear salad drizzled with tahini dressing is so quick to throw together, yet the combination of sweet and salty flavors and crunchy and soft textures proves that simple can be phenomenal.